When you move houses, you will probably take your furnishings with you, but that doesn’t mean the quality of your furnishings can’t add value to your home. When you’re selling a house, you’re selling a lifestyle, and by making yours look high end, stylish and aspirational, you’re more likely to find someone that wants to buy your property. And if you’re not looking to sell your home right now, it’s much nicer to live in a home that has been freshly painted with coordinated soft furnishings than one that still needs a lot of work. Creating a focal point or other architectural design to the room is one of the best ways to make it look larger than it is and inject an air of grandeur. One of the most common and popular focal points for a living room is a traditional fire place, but if you’re looking to add a fitted focal point that will really attract attention and stick in the mind of visitors (and potential buyers) then why not consider adding an indoor fountain? These are much easier to install than you might think (some of the smaller models do not even need to be installed by a contractor) and as well as looking fantastic, the sounds and sight of the flowing water is incredibly relaxing. If you want to make a considerable change to your living space that will really add value then why not consider extending your living room by adding a sunroom? 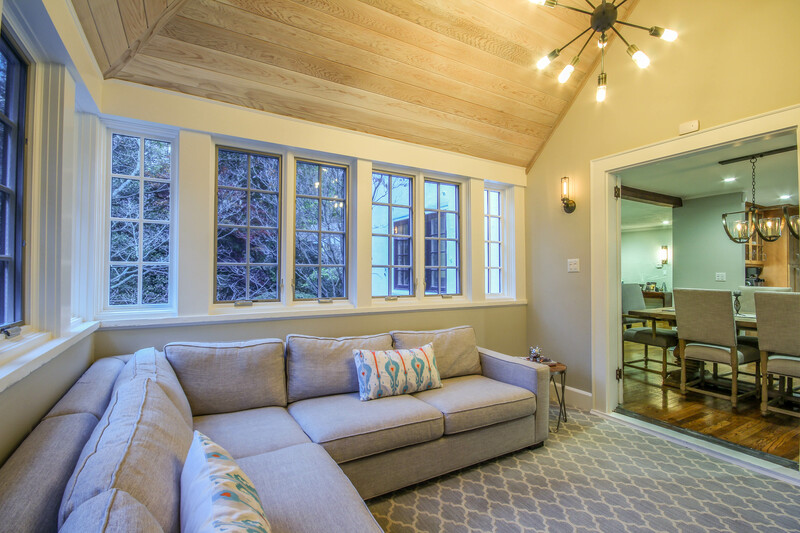 Estimates suggest that adding a glass sunroom can add an average of $34,000 to the value of your home, and the glass walls will make your whole living area look much lighter and more airy. Whilst there will, of course, be disruption involved in having a sunroom added to your home, it is actually a relatively simple and cost-effective decision. It is worth remembering that any extension to your home will reduce the amount of surrounding land you have, so this may not be worth considering if you already have a small garden. The living room is the heart of the family home: it is the room that you are likely to spend most of your time in, and make memories with your friends and family. So why not invest in it, and help it to be the best room that it can be?